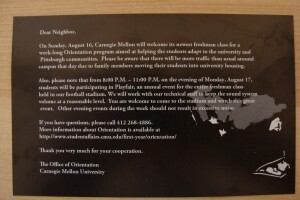 Today we got a postcard from CMU. This clearly shows the effort to maintain a good relationship and integration with its neighborhood. That’s right.. We have a small Tomato tree (which we bought and planted) just outside our house with several ripe tomatoes already. We were actually discussing last night that we should get the tomatoes from the tree since they looked good enough. Today when I left the house I realized that someone stole all the tomatoes from the tree.. I actually noticed a lady with some plastic bags full of trash getting some weed from the garden and looking at our tomato tree. If you see one by your door, get her please! We want the tomatoes back! 9/11 was long ago but we still feel the repercussions. However some of them are pointless. 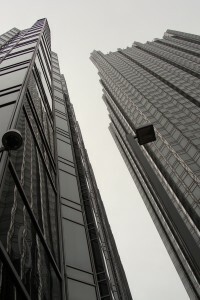 For instance, in the 4th of July, while walking through downtown, Ricardo was taking some photos of a skyscraper when a police officer warn him not to take photos to the building “because of 9/11”. The officer didn’t warn us all, just Ricardo which was the nearest, but still…what’s the point? 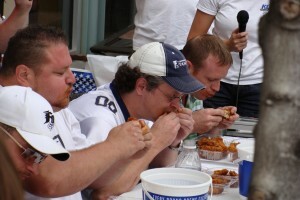 Eating contest, or competitive eating (http://en.wikipedia.org/wiki/Eating_contest) is very popular in the US. 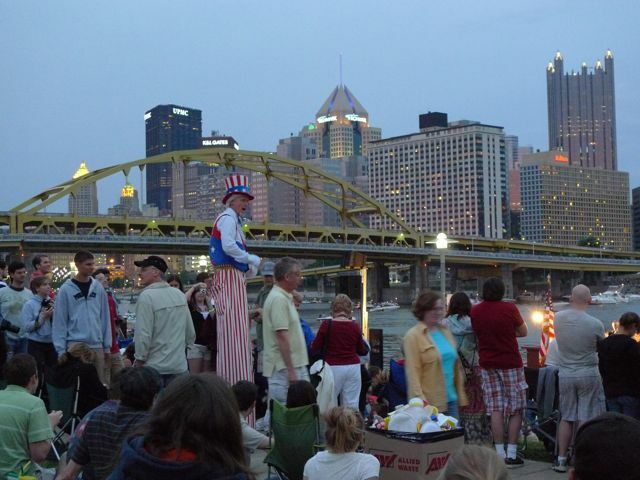 Pittsburgh celebration of the 4th of July included one and I was there…not eating, just watching, although I wouldn’t mind a free “meal”. It is kinda gross to watch, as the contesters do some weird movements with their heads to facilitate swallowing that looks like they are going to puke..
It’s my first 4th of July in the US. It was definitely an interesting day. Pittsburgh downtown was crowded and there were a lot of events going on. 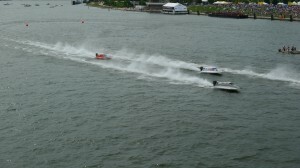 From speed powerboat races to food contests and fireworks. While we were waiting for the fireworks, we listened the US Army National Band. It is interesting that at least on the 4th of July they really try to make war veterans feel special. 4th of July Fireworks from Nuno Loureiro on Vimeo. Do you need some Botox?